Microscope RPG | Story by the Throat! Relentlessly pursuing story in roleplaying, in art, in life. Tell Your Story, Ask a Question, Listen Generously. So, I’m a big fan of Character Advocacy in roleplaying games. Advocacy is, simply put, a mode of play where each player (excepting, sometimes, a Gamemaster) has responsibility and authority over a single character, and is tasked to represent the interests of that character in play. It’s important because if, when encountering fictional adversity, the character has no advocate, the outcome can feel flat: triumphs too easily won, tragedies handed down from on high. When we only produce something we all agree to, then nothing can surprise and challenge us. Advocating for a character is a powerful way to ensure that the character’s victories are earned, that their suffering has weight. In short, to ensure that their story matters to us. So how can you enable that kind of investment in the absence of character advocacy? Well, I played a wonderful game called Microscope with some friends, including its creator, Ben Robbins. 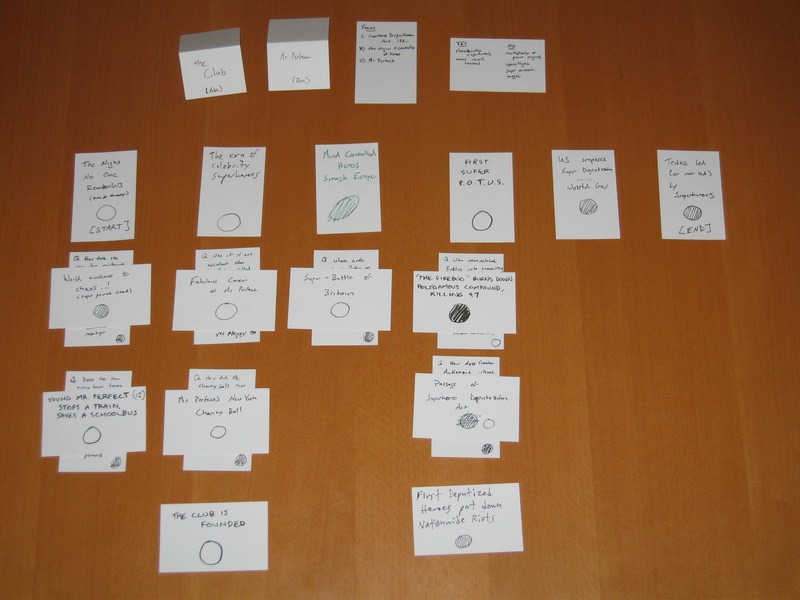 Microscope is a game of epic histories, where players together construct a timeline of large-scale events then zoom in, playing out the individual scenes of the human activity that shaped the course of history. It’s a very top-down, globally thinking game that almost uses the lives of individual characters as pawns in the service of an overarching narrative. And yet I found that Microscope helped us produce some very affecting, emotionally invested fiction? Why is that? Story is what we make. Joel P. Shempert on Story is what we make.